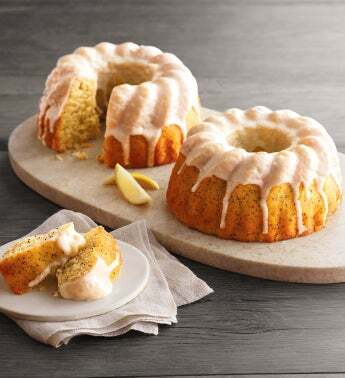 The only thing more decadent and delicious than a lemon poppyseed bundt cake from our own bakery is two bundt cakes. Working in small batches, we mix whole eggs, yogurt, and a blend of spices, finishing off with a dash of bright lemon juice in the batter and a lemon glaze on top. Enjoy one of these gourmet cakes at home and take one along to share at your next get-together.